With 20 years of career, DJ Renato Ratier is one of the strongest pillars on Brazilian electronic music scene. In the 2000s, when the underground scene still taking shape in Brazil, he opened the D-EDGE, prestigious yet underground club that has become a benchmark around the globe. As a producer he released several EPs and compilations and participated in labels such as Get Physical, Kompakt, Light My Fire and No.19 Music, among others. In 2013,his first album, "Black Belt" was released by D-Edge Records and distributed by Kompakt, achieving instant success among critics and audiences. Currently, Renato Ratier gathers the results of two decades of copyright and artistic work full of passion. 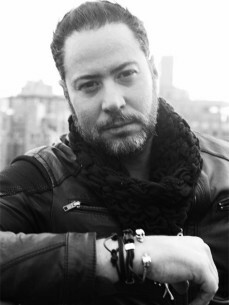 Besides being one of the most requested Brazilian DJs in international market, and figure present on line-ups of the main festivals around the world, he is co-owner and resident of the award-winning DJ beach club Warung in Santa Catarina.From 2015 Ratier runs his fashion trademark ``Ratier``which he presented on Sao Paulo fashion week and Brazilian contemporary food restaurant Bossa. He also owns Bossa recording studio in São Paulo and, in late summer of 2016, preparing to open a branch of D-Edge in the city of Rio de Janeiro. and new sub-label Olga Recordings.